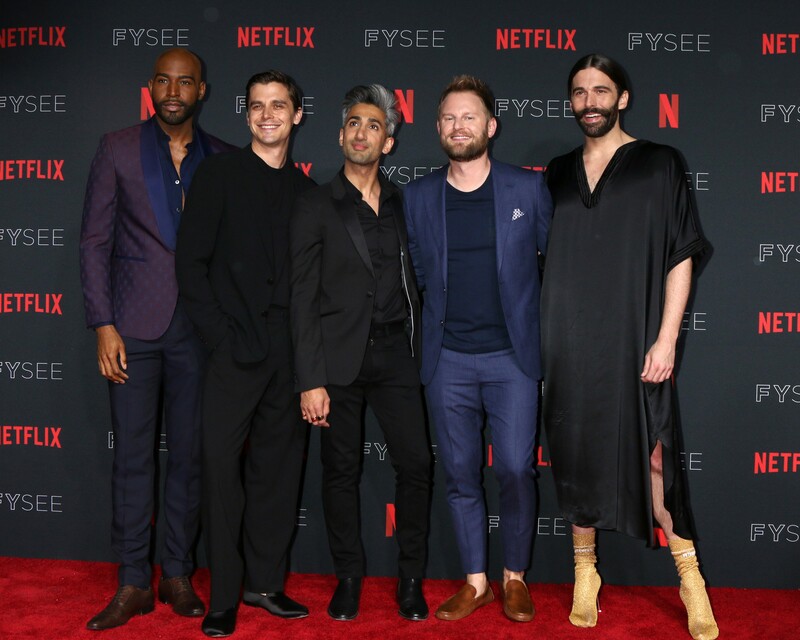 Tan France, center, says people are always surprised to find out that he's actually not short, but that all of his co-stars are extremely tall. Queer Eye style guru Tan France will soon bring his French tuck all the way to St. Louis. The fashionista will make an appearance at the St. Louis County Library and all local Queer Eye fans are basically required to be in attendance. France will be in town to promote his memoir, Naturally Tan, a book about spreading joy and the message of personal acceptance. Just listening to him speak is soothing (and often hilarious) so jump right on those tickets — this event is sure to sell out quickly. Tickets go on sale this Wednesday, April 17 at 9 a.m. on BrownPaperTickets.com. There are three pricing levels available. The cheapest (at $32) admits you to his presentation and includes one pre-signed copy of Naturally Tan. At $36, the second-tier option gets you and a friend into the event and you get one signed book. 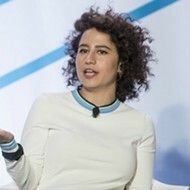 But for only $45, you get entrance to the event and a meet and greet with France that includes a personalized book inscription and a photo opportunity. Not only does that $45 option seem like a steal, but you can feel good about the money you spend to attend: Proceeds from this event will benefit the St. Louis County Library Foundation's literacy programs.